Girls at Dhabas a collective of feminists who are concerned by the disappearance of women from public space(s). We are an open community and wish to define public space on our own terms and whims, to promote and archive women’s participation in public spaces, and to learn from shared experiences. Sadia Khatri is a writer and activist based in Karachi. Natasha Ansari is a researcher and activist based in Karachi. 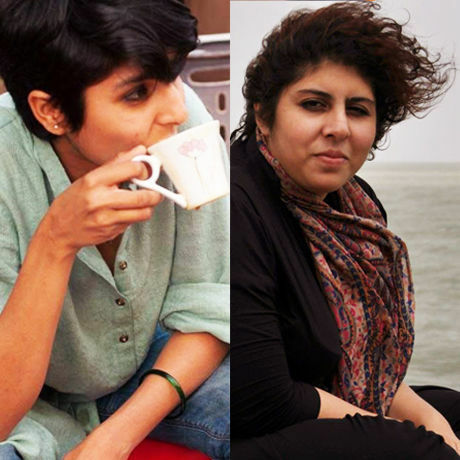 Atiya Abbas is a content writer by day and an angry feminist by night.